Most can't touch the power. But Live Warren is special - a paranormal tracker who follows the scent of blood. Live makes her own rules, and the most important one is trust no one. Bound by oath and lost in desire for a man she cannot have, Liv is racing to save the child from a dark criminal underworld where secrets, lies, trauma, and danger lurk around every corner . . . every touch . . . every kiss. 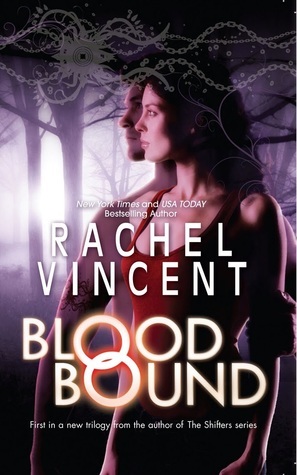 I was so excited to discover this ARC at BEA because I have been waiting and waiting (not so patiently) for a new adult series from Rachel Vincent ever since I read the last page of Alpha! 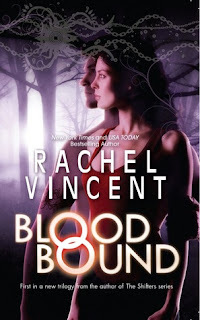 Rachel Vincent has many writing talents, but her best by far is her ability to both create a new universe and lead you into it properly. She is seriously amazing. Liv's world is vivid, and it takes only a small leap of imagination to find yourself walking alongside her as she tries to keep her head above water and navigate the loopholes of her contract. I don't want to give away too much. For once, the description from the back cover actually says enough. But I loved these characters and watching their relationships evolve. I loved picking up clues before they did, figuring out the mystery before they did, and watching them stumble around in the dark (but not for too long!) as they try to piece things together. I loved that even though I correctly predicted these answers, I was still blindsided by the ending. Blood Bound is nothing like the Shifter series - there are no shifters, for one, and the characters are not interchangeable between the two series. But if you enjoyed her style of writing, you will absolutely love this new series.